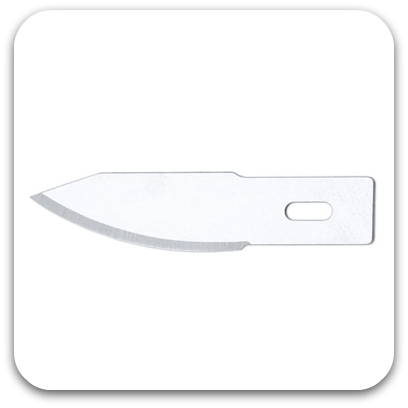 The X-Acto #25 Large Contoured Blade is a heavy duty, durable blade designed for high pressure cutting through dense materials. The contoured blade is razor sharp and strong enough to handle stronger materials. The #25 blade also features a fine point, considering it's thickness, which provides a combination of strength and finesse.